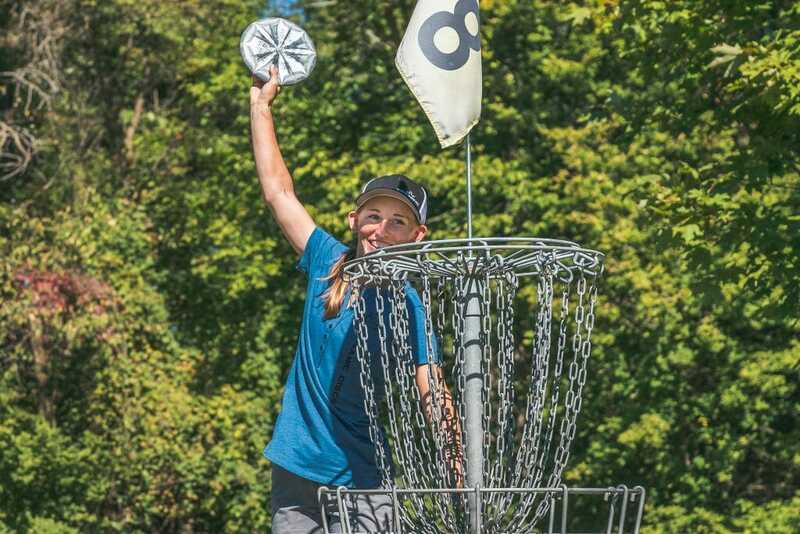 After a long weekend of disc golf, Paige Pierce lifted the 2018 United States Women’s Disc Golf Championship trophy at Burchfield Park in Lansing, Michigan, joining Des Reading as the only other player to win three USWDGC titles. It was a close battle over the final 21 holes, with players threatening to take the top spot from both the lead and chase cards. At one point, Holly Finley, who started the day just one back, was able to tie Pierce in first, and Vanessa Van Dyken was along for the ride as well. Ultimately it was Pierce that prevailed, carding a 5-under par 61 to result in a 17-under par 246 total for the tournament, putting her two strokes clear of Finley and Van Dyken who tied for second at 15-under 248 total. Pierce and Van Dyken both shot the 987-rated hot round on Sunday. Pierce credited her putting as the key to the win and United States Disc Golf Championship invitation. With a slim lead heading into the final round, Pierce was mostly focused on staying mistake free. “The other three rounds I had two terrible holes per round, so the final round I just wanted to get rid of those and keep it steady,” Pierce said of her strategy. Pierce was able to execute the game plan exceedingly well. Outside of one bogey on hole 2, she was clean the rest of the round, only carding birdies and pars. Throughout the final round, Pierce kept watch on PDGA Live Scoring knowing others were within striking distance. But when asked about the courses and format, Pierce was not particularly happy. When asked about Van Dyken’s comment that USWDGC should be at the same location every year, Pierce was in agreement. Kristin Tattar carded a 2-under par 64 in the final round to end her tournament with an 11-under par 252 total in fourth place. Catrina Allen and Zoe Andyke tied for fifth place with 9-under par 254 totals. 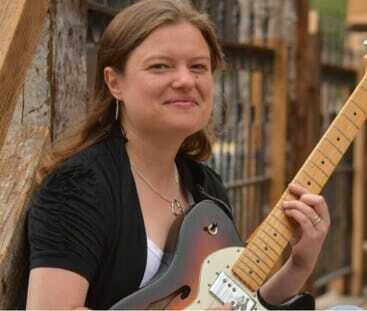 Elaine King won her first Masters USWDGC title by 20 strokes over Sara Nicholson. She averaged 956-rated golf for the weekend. Comments on "Pierce Holds On For USWDGC Win"